Get your hot dogs on the grill and your fireworks at the ready, because the 4th of July, aka peak summer celebration time, is right around the corner. 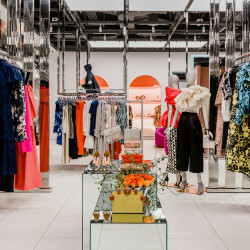 We’re already planning our trips to the beach, backyard barbeques, and of course, our thematically-appropriate outfits, meaning those sundresses we bought back in February on super sale will finally get a proper audience. Whether you want to go all out in head-to-toe red, white, and blue, or feel like a small dash of American pride is enough, we’ve styled 15 pieces we’re wearing for Independence Day parties. 1. House of Sunny Gingham Asymmetric Dress with Ruffle Detail: I tried to resist the gingham trend for as long as I could, but it’s so damn cute I can’t help it. 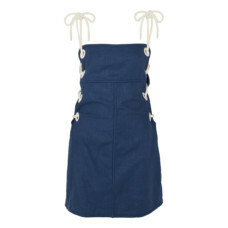 I love the breezy silhouette of this dress in particular, and the navy and white check is classic Americana, aka perfect for my 4th of July bbq. 2. Chivatas Gingham Pink Tote: If you can manage to snag one of these adorable totes (they sell out in MINUTES, so set your IG alerts on high) you won’t be sorry. 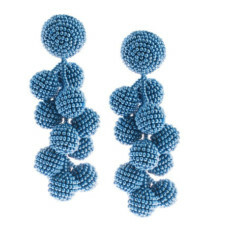 Affordable, practical, and they’ll clash beautifully with the rest of my gingham ensemble. 3. Sean Wotherspoon x Air Max 1/97: I recently watched the 2015 documentary Sneakerheadz on Netflix, and it reignited my obsession with all things sneakers. 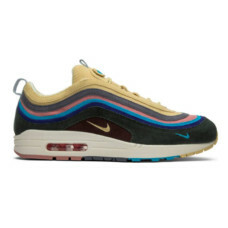 I’ve been drooling over the Sean Wotherspoon collab since it launched—and sold-out—this past winter, and now that it’s been re-released, I’ve saved my pennies to buy a pair. I love a feminine dress with a hot sneaker, don’t you? 1. Kris Goyri Baha Jumpsuit: It’s always really hard for me to find jumpsuits that fits, so one I can adjust is perfect! This one has an adjustable halter top, so as long as the pants fit, I’m solid! Kris Goyri always uses very breathable material, so this is perfect for wearing outside (on a rooftop, with a cocktail in hand of course.) I love the athleisure/swimsuit vibe this jumpsuit gives off, and the colors? You can’t be more patriotic than red, white and blue. 2. 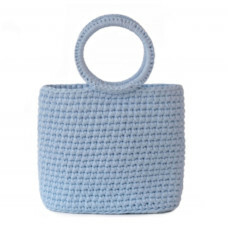 Binge Knitting Light Blue Bondi Tote: Straw bags, beaded bags, what about knitted bags? 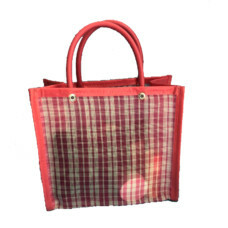 This tote from Binge Knitting is the perfect size for all things “picnic chic”. I’m really into the baby blue color, but the cherry red is also perfect as a statement bag. I also really like how these two Mexican designers combine artisan work into their modern bag designs, I’m sold! 3. 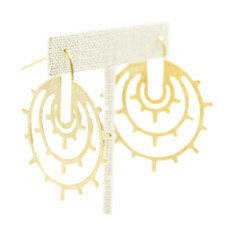 Joanne McKay for Coya earrings: These earrings have been my OBSESSION ever since I found Coya on Instagram. The brand basically has collections of handmade jewelry, all featuring local designers in Latin America. A simple hoop is cute and all, but these stand out AND are one of a kind. These also kind of look like fireworks! 1. 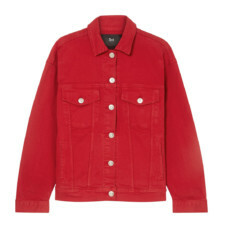 3x1 Oversize Denim Jacket: There’s nothing more cozy to me than wearing a big, oversized denim jacket. You can typically find me throwing one over my outfit almost every day, no matter the temperature or look I’m wearing underneath. This year for the 4th, I’ll be by the beach, so this red option is perfect to throw on and bundle up in when that cool summer breeze hits. 2. Reformation Ava Dress: This white mini dress feels like summer to me. It fits my curvier figure extremely well, but more importantly it will definitely show off the glowy tan I plan on getting after spending all day in the sun. You really can’t go wrong with Reformation on any occasion. 3. Sachin And Babi Coconut Earrings: Because I’m keeping my outfit pretty simple, I’m adding in these amazing Sachin + Babi coconut earrings to add a little glam. I love that they’re clip back, and this French Blue is my favorite shade. 4th of July outfit, complete! 1. 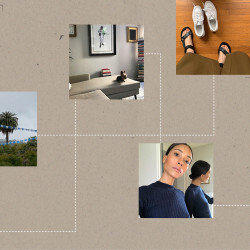 Staud Lace Up Mini Dress: I found the Staud dress of my dreams and luckily it’s still available on the Net-A- Porter sale. The color covers my something blue, the length works as post vacation office wear, and the fit is breathable for a hopefully (fingers crossed) sunny holiday. 2. 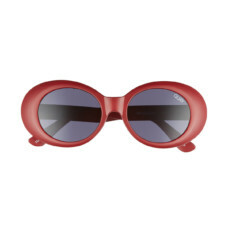 Quay Australia Frivolous Oval Sunglasses: Spending time in the suburbs this July 4th weekday calls for a pair of sunnies that will keep my downtown NYC girl reputation in tact. Sunglasses with some Kurt Cobain vibes should do just the trick! 3. 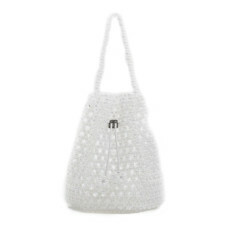 Not Impressed Tulipa Bag: Iridescent beaded bucket bag—need I say more? 1. 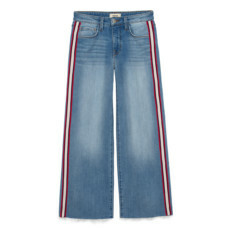 L’Agence Danica Striped High-Rise Wide-Leg Jeans: For me, nothing says “American summer” more than a lived-in pair of denim cutoffs. The racing stripe gives the look a sporty, streetwear feel, and the high-waisted, wide-leg fit will elongate my petite frame. Is there a more perfect time to rock a red and white racing stripe than the 4th? 2. 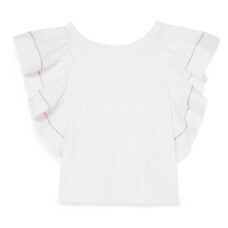 See by Chloé Ruffled Poplin and Cotton-Jersey Top: A crisp, white top is the perect piece for this holiday. Tucked into cutoff jeans, this cotton-jersey top will help me achieve the relaxed, beach-house chic look I always aim for during those warm summer holidays. 3. 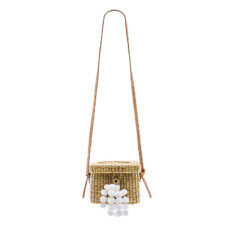 Nannacay Roge Small Pom Pom Bag: The straw bag is quickly making its way to the top of my fashion must-haves. This Nannacay crossbody exudes the perfect July 4th picnic vibe. I’ll knot my favorite blue rag & bone bandana around the strap if I’m feeling *extra* spirited (note: I will).